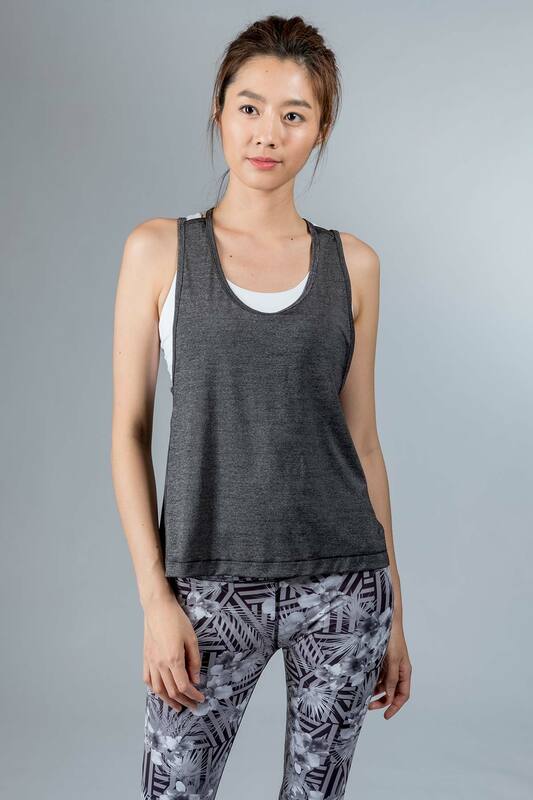 A classic racer back tank styled in a modern way. Open hole shoulder and back maximise ventilation in the hottest yoga class. Racer back tank designed with open back and shoulder holes to maximise ventilation and cool you down fast. Embellished with a Yumi ‘Y’ mark hardware tag.